‘Best out of waste’ is a phrase used quite casually by many of us. I never realized what it meant in its real sense until I read about the weed-turned-herb, dandelion. Apart from their robust growth, dandelion plants have another mind-blowing trademark – Dandelion tea. 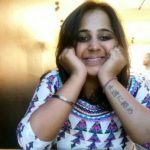 Read on to know the best this waste (weed) could do! What Does Dandelion Tea Have? What Are The Benefits Of Drinking Dandelion Tea? What Is The Nutritive Value Of Dandelion Tea? What Are The Side Effects Of Having Dandelion Tea? Dandelion tea is a simple herbal tea made from the roots and/or leaves of the dandelion plant (Taraxacum officinale). Some prefer brewing the flowers along with the leaves to give it a delicate and faint flowery flavor. It’s just like any other tea, you might say. But no! There’s a lot of medicinal value associated with this preparation. So, let’s get started by answering the first question. What Does Dandelion Tea Contain? The goodness of dandelion tea is because of its biochemical composition. The roots, leaves, and flowers are rich in flavonoid derivatives like luteolin, chrysoeriol, hydroxycinnamic acids, chicoric acid, coumarins, cichoriin, and monocaffeyltartaric acid (1). Having a cup of these phytochemicals recharges your body to fight chemical stress, organ damage, obesity, insomnia, and many other hurdles. Wouldn’t you want to know what dandelion tea precisely does to your body? Due to the presence of potent flavonoids, dandelion tea serves as a liver cleanser/lover. 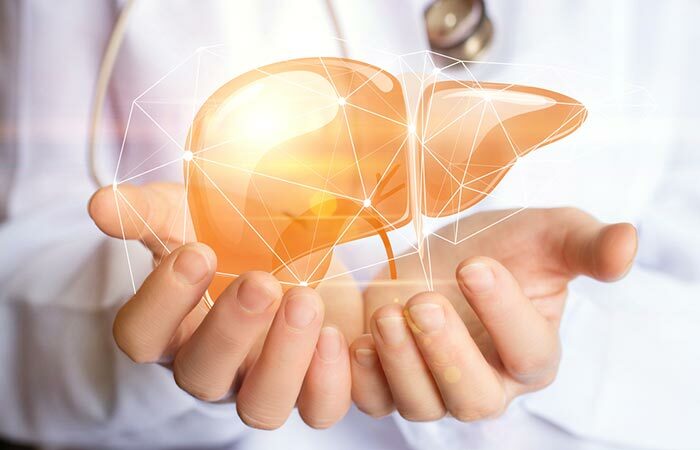 These antioxidants eliminate free radicals and toxic intermediates like peroxides that otherwise interfere with the production of digestive enzymes by your liver. Due to high levels of cholesterol and lipids in the blood, non-alcoholics are also prone to liver damage. Such people can have dandelion tea to reduce inflammation in the hepatocytes. Since it ensures smooth functioning of the liver, drinking this tea keeps atherosclerosis and related heart diseases at bay. How? The cholesterol and lipids are entirely metabolized by the liver enzymes and do not get accumulated along the walls of the blood vessels (2). Because the blood is carried to the heart efficiently, your heart stays healthy and happy! Traditional medicine uses dandelion leaves and roots to cure breast, uterine, and lung tumors. Exploiting the antiproliferative property of dandelion, last stage cancers of skin (leukemia) were treated in animals (3). It is because of the reactive ions in the blood that some tumors become malignant. Dandelion tea has luteolin derivatives that scavenge such tumor growth-stimulating factors and prevent relapses. Water retention in the body could give rise to bloating, swollen joints, hypertension, renal failure, fatigue, hyperkalemia, an imbalance in body fluids, and even urinary tract infections (UTIs). If you suffer from any of the above issues, dandelion tea is your savior. This plant is a natural diuretic due to the presence of phytochemicals like terpenes and polyphenolic acids. Regular doses of this tea will increase urine output and solve the problems associated with water retention. Dandelion tea has anti-inflammatory effects that purify your blood and cleanse your liver. It promotes clear skin by reducing acne, pimples, and cracks. It also possesses antimicrobial properties and hence cures infections like eczema, breakouts, and rashes caused due to fungi, bacteria or virus. Lutein and related flavonoids play a pivotal role in maintaining bone mineral density in women (4). Dandelion tea is one of the best sources of lutein and calcium, which together protect your bones from getting weaker – especially during and after menopause. The tea helps in keeping osteo-degenerative diseases affecting women at bay. These include arthritis, osteoporosis, osteopenia, and osteoclastogenesis. Dandelion greens are reservoirs of vitamins K and A, both of which are crucial fat-soluble vitamins your body needs in ample amounts. Since these leaves also have a fair amount of calcium, dandelion tea is the best medicine to manage their deficiencies. The circulatory, cardiovascular, skeletal, and urinary systems will work smoothly if you incorporate a shot of this tea in your diet routine. 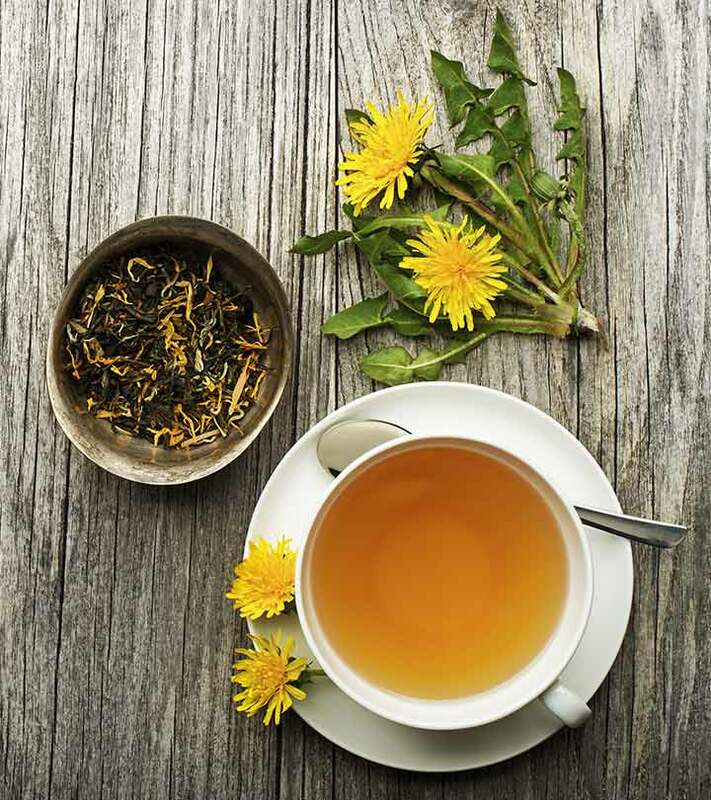 Dandelion tea solves digestive troubles like mild constipation, flatulence, and acid reflux due to the synergistic action of high fiber, laxative, and anti-inflammatory contents (5). 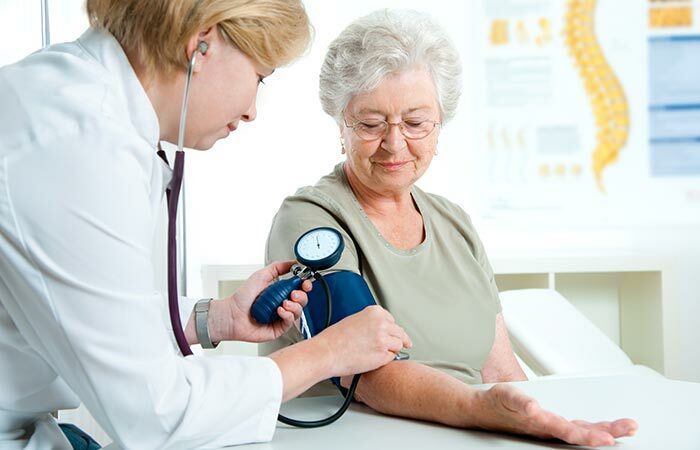 Diabetes, especially type 2, is a metabolic disorder affecting the heart, kidneys, pancreas, and brain. Dandelion tea, prepared with the roots and flowers, along with its greens, has antihyperglycemic properties. Compounds like inulin, taraxinic acid derivatives, chicoric acid, and other phytosterols stimulate insulin production from the pancreas. Also, this tea increases insulin sensitivity in the surrounding cells and battles hyperglycemia (6). Due to its hypolipidemic, antidiabetic, and antihyperglycemic effects, dandelion tea is a great way to control hypertension. The flavonoids in the tea reduce lipid and cholesterol build-up in your blood vessels, making it easier for the heart to function. The diuretic properties maintain the blood’s physicochemical properties (thickness and electrolyte balance) so that it exerts the least pressure to travel through your circulatory system – reducing the blood pressure. Talk about being an all-rounder! From head to toe, dandelion tea can deal with almost any problem. To make my case valid, let me give you details of its nutrients. Read on to find out the nutrition profile of dandelion greens. Highly rich in vitamins A, K, E, C, and B-complex, dandelion greens are quite nutritious – somewhere similar to multivitamin capsules. A cup of tea brewed with these leaves and stems is also a good source of minerals and dietary fiber. In addition, the dandelion flowers are rich in antioxidant flavonoids, while the roots are rich in terpenes, lactones, phytosterols, and phenolic acid derivatives. You certainly are now tempted to make yourself a refreshing cup of this magical tea, aren’t you? Let me help you with the recipes. Scroll down to find some fun, quick, super healthy, and tasty tea recipes that I have compiled for you! Dig deep into the ground in a familiar area having fresh and bright dandelions. Carefully uproot the the plant, the roots of which could be long and twisted. Separate them from the plant. Set aside the flowers, stems, and leaves. Wash the roots thoroughly under running, cold water. Clean and chop them into small pieces. Bring a cup of drinking water to a boil in a saucepan or teapot. Add one to two teaspoons of these chopped roots to the water. You can also add some finely chopped fresh leaves. Cover with a lid and let it simmer for 1-2 minutes. If you are using dried roots, chop them into small pieces. Add one teaspoon of these to boiling water. Let it boil for 5-10 minutes. Switch off the heat/flame. Let the tea steep in the covered vessel for about 20 minutes. Strain the contents into a teacup. Discard the roots and leaves. Add half a teaspoon of honey or your sweetener (if you want to). Sit back, sip, and feel the magic unfold! Note: Try adding bits of roasted roots instead of fresh ones. Bring a cup of drinking water to a boil. Add the dandelion and burdock roots to the boiling water. Switch off the heat/flame. Let the contents steep for 20- 25 minutes. If you are using dried roots, boil them in water for about 5 minutes before allowing them to steep. Strain the contents into a teacup. Drink 2-3 cups a day for best results. Congratulations! You just triggered the first step towards healthy detox! But, is that all? Or are there other ways you can have your dandelion tea? Try adding some lemon to your brew. Store it in the refrigerator for about an hour and serve it with some ice. Iced tea with a twist! You can brew dandelion flowers along with the roots and leaves for a milder, sweeter, and fragrant version. How about adding dried berry leaves, mint, and ginger to dandelion tea to pack that powerful punch? What would happen if you had an overdose of dandelion tea? Can the tea be poisonous? Because after all, it is a weed. I am getting there! Scroll down to know the side effects. It might interact with antibiotics and decrease their effect. Dandelion stem secretes latex-like polymers that are potential allergens. Consult your doctor to know the best form of ingestion for you. This tea could aggravate the activity of synthetic diuretics and antidiabetic medications. In severe cases, the tea can even result in dehydration and organ failure. If you are battling morning sickness during your pregnancy, dandelion tea might promote dehydration, nausea, and weakness. So, consult your doctor. 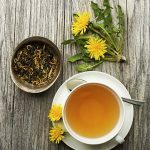 Of course, you should add dandelion tea to your tea collection because it is one of the healthiest alternatives to coffee – as it is caffeine-free. Apart from that, you just read through the kind of benefits it offers – one solution for all ailments. What do you think? If you agree, please like this article and share your comments and suggestions in the box below. Also, I’ll be waiting to hear about how the tea recipes with the tasty tips turned out. So, please share your feedback. How much dandelion tea is safe to drink? Having 2-3 cups of dandelion tea (with lots of water in the intervals) per day is recommended. But check with your doctor about the dosage because the tea might drain you, given its diuretic properties. Is dandelion tea safe during pregnancy and breastfeeding? 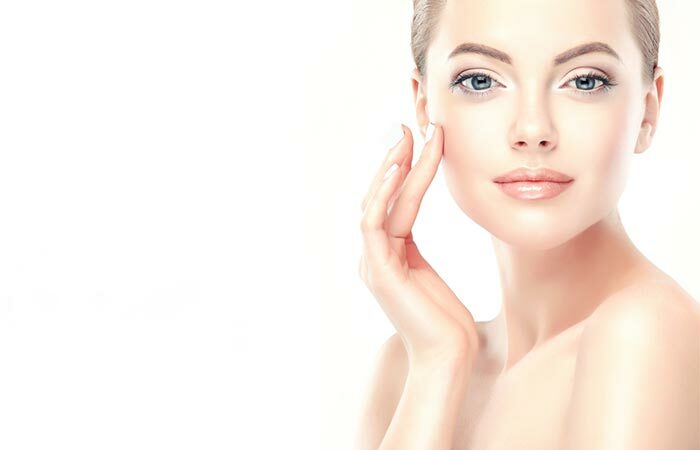 It is during these times that your body undergoes hormonal changes. Having such herbal teas might give you relief from edema, gestational diabetes, etc. Also, using dandelion tea as an alternative medicine in breastfeeding women has become common. It is considered safe by US FDA and naturopaths. However, keep your doctor informed about your intake. You might be asked to stop or modify your dosage as per the fetus’s response.